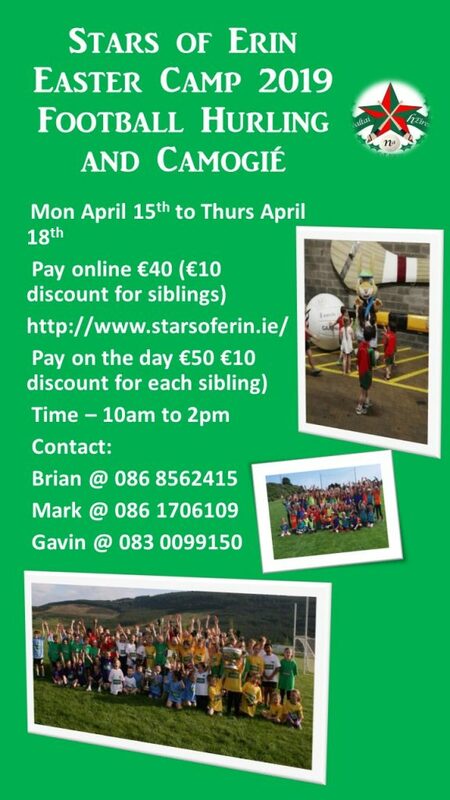 Stars of Erin are delighted to launch their Easter Camp 2019. Camps are open to children between 5 – 13 years old. Easter Camp – Easter Camp dates are 15th to 18th April inclusive. €40 1st child, €30 for 2nd child and €20 third child. You can register online at our myclubfinances page.